A few people have asked me how I knew Noah was autistic. The fact is, I knew about Noah and his "unusual tendencies" pretty early. Some things are not so black and white. Sometimes we don't want to accept the things we see with our own eyes. Sometimes we can't admit it, even to ourselves. And sometimes, when we just know, the world seems to crumble around us. 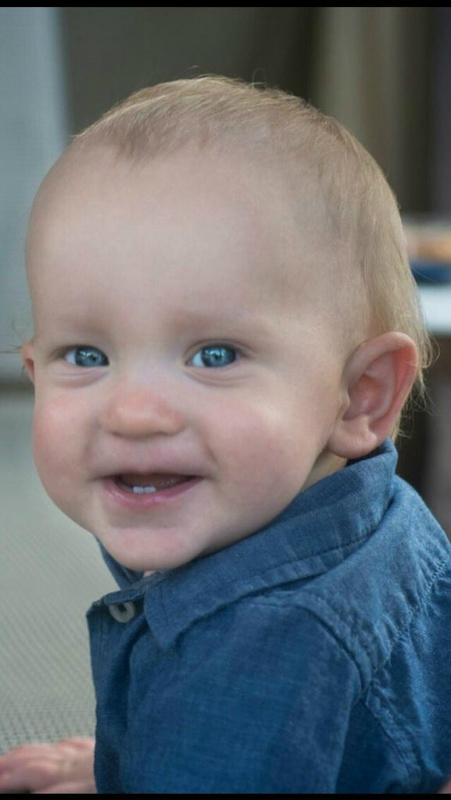 This little boy, my grandson, is my whole world. How could something like this happen to us? ASD? Autism? I HAD to be wrong. Right? Things like this don't happen to people like us. But.....it did. I still couldn't find the words to tell anybody so I kept it to myself and did LOTS of research. It truly is amazing what you can find in a google search. Scary things. Let me give you a tip.....don't search "autistic kids". It can be overwhelming. When I started this "search", I had no idea what autism really was. I knew that some autistic people were savants and had these special abilities like being able to figure out any math problem in their head or remembering dates and times from years ago or mastering some musical instrument in a matter of days, but that was all I knew. "Rain Man".....that was it. I knew Rain Man. Needless to say, my searches did not turn up any "Rain Man" videos. I saw children screaming and fighting and staring off into some unknown world that no one else could see and I looked for my little Noah in each video. Does he act like that little boy? Will he be like that when he's ten; unresponsive and violent? I was more scared now than when I started the search. I had to get more detailed. What are the symptoms? When do they typically get diagnosed? HOW do we get him diagnosed? I didn't know anything. It was all so overwhelming. And i still hadn't told anybody what i was thinking. I felt like i was carrying around this huge weight that only i could see or feel. I could actually feel my heart sink with the weight of what I knew. And the worst part hadn't even happened yet. I still had to tell Sara and that was going to be hard.She had only just turned 18 when Noah was born and she was going to our local university to work on her teaching degree. She was doing so well, too. she was maintaining a 3.6 GPA and coming home from school to do homework and study and take care of Noah. Because she went to school every day, I stayed with Noah. My Beautiful little blue eyed grandson. I had to tell her. So, one bright sunny day (for some reason, I had pictured it raining when I told her), with my heart beating out of my chest, my husband and I sat down with her and We had "the talk". It was a rough conversation, to say the least. I remember hearing the words as they left my lips: "He's showing a lot of signs of autism". It didn't sound like it was coming from me. In my head, it sounded like I was watching T.V.. Some 20/20 or Dateline show about autism and how to break the news to your family. It was kind of surreal. My daughter listened. She listened and absorbed the opinion that I had just given her. I can't imagine how she felt at that moment. It must have been devastating. She knew though. Deep down, she knew. She told me that later. After a couple of months of re-affirming our belief, we started looking for help. Through our research, we found that the autism spectrum is broad and it looked like Noah would fall pretty high on that spectrum. I didn't show her the scary videos I had seen. I only showed her the ones I thought pertained to Noah. I'm sure she did her own research and saw that on her own though. We spoke with family members who had connections in the medical field and got lucky. Really lucky. We were able to see a specialist within a month. The diagnosis was what I had suspected; autism spectrum disorder. Actually, what he said was "there are some 'soft signs' of autism but he is still so young that we will have to do another evaluation in 6 months after some therapy." It kind of gave me hope for a split second that maybe, with therapy, he could catch up. He was only 16 months old; he had time, right? But he wrote down that nasty little word on his paperwork. Autism. It may as well have been written in bright red sharpie across the top. That's how it looked to me. Of course, it wasn't. It wasn't like that at all. The feeling when we were leaving that doctors office was one I had never felt. I knew I was supposed to be sad, and of course I was, but a feeling of relief was much more powerful. It was strange. I couldn't sort out what I was feeling. Why was I reiieved?!! Then, I figured it out...so many people had told me nothing was wrong with him. "A lot of kids don't talk until they are 3 or 4." All these comments made me feel like i just wasn't putting in the time I was supposed to. Maybe I let him watch too much Sesame Street. Maybe I should have carried him around in one of those kangaroo pouches for babies. Maybe...... this is all my fault. But this diagnosis meant I was right; and it wasn't my fault. That's why I felt the relief on that day. The diagnosis allowed us to get the therapy he needed and Sara took the next semester off so she could give him her undivided attention and it paid off big tme. He started speech and occupational therapy within a week. He improved dramatically over the next 6 months. Now I know that all those videos I found in that Initial search did not define all autistic people. My little Noah, with the big blue eyes, would be just fine. I'm not naieve though. I know the battle that lies ahead. I know there will be a lot of bad days but I also know there will be a lot more good days. And now I know that is wasn't my fault. That helps too. I learned a lot in this process. I learned that my daughter is an absoute warrior when it comes to her son. I learned that my husband always has my back. I learned that I need to trust in God. But, most importantly, I learned that my family is a phenomonal one and we can handle anything. Our journey is just beginning. And I'm totally in love with my, beautiful, vibrant, curious, funny, autistic little grandson. I will make it my mission to make the world see him like we do. I'm hoping his big blue eyes will help.